CBS News' Jeff Pegues confirms that Trump attorney Michael Cohen, a Trump attorney and executive vice president for the Trump Organization, sent an email in January 2016 to Russian President Vladimir Putin's personal spokesman during the U.S. presidential campaign last year to ask him for help in advancing Mr. Trump's business interests. According to the Washington Post, which first reported the email, documents submitted to Congress Monday include the email from Cohen to Dmitry Peskov. The email reportedly says, "Over the past few months I have been working with a company based in Russia regarding the development of a Trump Tower - Moscow project in Moscow City," Cohen wrote, according to the Post, which cited a person familiar with the email. "Without getting into lengthy specifics. the communication between our two sides has stalled." "As this project is too important, I am hereby requesting your assistance. I respectfully request someone, preferably you, contact me so that I might discuss the specifics as well as arranging meetings with the appropriate individuals. I thank you in advance for your assistance and look forward to hearing from you soon," Cohen wrote. Cohen told Pegues, however, that he did not get a response from Peskov or any representative of the Kremlin. "Not that I recall." He told Pegues, "I did not receive a response." Cohen claimed that the email was sent to a general inbox for Peskov and he says he does not recall where he got the email address or who gave it to him. "I don't know the guy." Cohen said about Peskov. "I sent it to a general inbox because it was a really good deal." Cohen also told Pegues that his conversations with Donald Trump about the Moscow deal "totaled less than four minutes." He said he spoke to Mr. Trump about the deal on three occasions. The first time he says he mentioned the deal it was more of a "side note" to a conversation. Then, the second time it was to discuss the non-binding agreement (which Mr. Trump later signed) and to explain the economics of the deal. Cohen says the third time it was discussed, he informed Mr. Trump that he had terminated the agreement. Cohen said, "I wanted to see if there was a way to revive the deal." He had been working on the deal between October 2015 and January 2016 but says it all fell apart "in the second week of January." CBS News has learned that had it come to fruition, it would have included office, residential and hotel space. Cohen says it would have been a "significant deal and the proceeds would have "lasted in perpetuity." 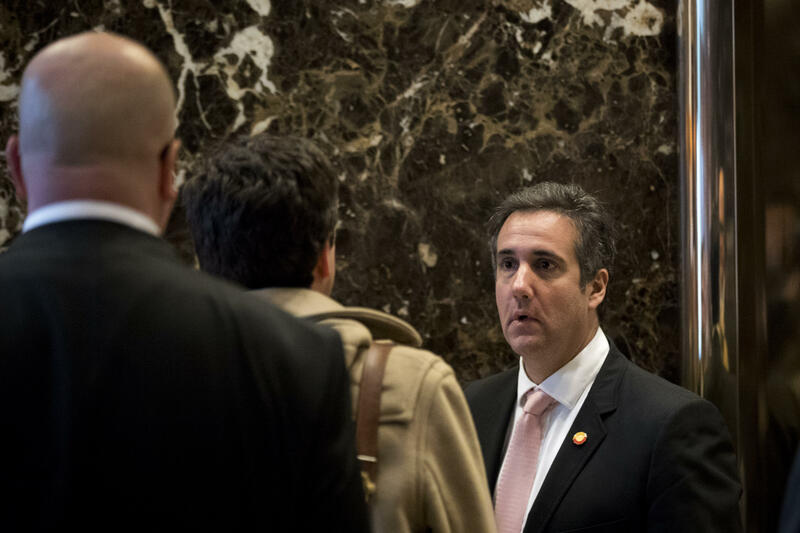 In an earlier conversation with Pegues, Cohen told him that the Trump Moscow proposal "was simply one of many development opportunities that the Trump Organization considered and ultimately rejected." Cohen said that in "late January 2016, I abandoned the Moscow proposal because I lost confidence that the prospective licensee would be able to obtain the real estate, financing, and government approvals necessary to bring the proposal to fruition. It was a building proposal that did not succeed and nothing more." Pegues also confirmed that Russian-born real estate developer Felix Sater was working with Cohen on the plan to develop the Moscow Trump Tower, which was to be a massive residential real estate project. Sater tried to convince Mr. Trump to come to Moscow to talk aobut the proposal. The work on the proposal was taking place at the same time Mr. Trump was running for president. Sater wrote to Cohen at one point in 2015, "Our boy (Trump) can become president of the USA and we can engineer it." He boasted, "I will get all of Putins team to buy in on this, I will manage this process" and said, "I will get Putin on this program and we will get Donald elected." The Washington Post first reported Sater's correspondence with Cohen. On Thursday evening, Sater said in a statement to CBS News' Andres Triay that Cohen was "the only member of the Trump Organization" with whom he communicated about the project, which, he explained, was a proposal he put together in the latter half of 2015 to develop the world's tallest building in Moscow. Sater confirmed there was a signed letter of intent, but he also said in the statement that since he was not employed by the Trump Organization, he would not have been paid by the company, had it gone forward. He also confirmed that in January 2016, Cohen informed him that the company had decided "not to move forward with the project."